According to research of London School of Economics an average NPS increase of 7% correlates on average with a 1% growth in revenue. 58% of consumers said they have recently (within the past five years) began leaving more and more online reviews based upon customer service. As a Scale Up Coach, I’ve encouraged my customers to use NPS for measuring customer satisfaction since being introduced to it at my first ScaleUp Summit in Las Vegas in 2007. I realized the value of NPS, and shared it with one of my customers. Their story is shared in Even in a difficult economy Customer Service can make a Difference! Referral marketing plays an important role in your business strategy. That’s especially true with the Internet. In business, you understand the value of someone who’s been referred to you. It’s easier at to relate to them, and in most cases to get them to do business with you. The Net Promoter. You’ve probably seen this here or somewhere before. 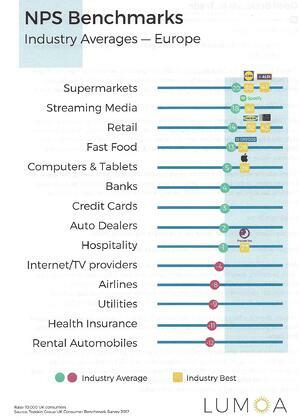 and Detractors (answered 0-6): unhappy customers, a high likelihood for negative word of mouth, high churn rate. 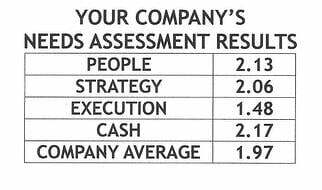 My car wash customer discovered once he got his NPS score above 50%, his locations were profitable. The higher the score, the more profitable the location became. In his case, he had verification on how improving customer service increases revenue and profits long before London School of Economics research discovered it. Metrics not withstanding, NPS only becomes a truly valuable metric, if its “why”-question is properly collected, analyzed and heard. My car wash customer monitored comments, shared it with his managers and teams to adjust service levels and attention. Visit https://lumoa.me/en/nps-in-nutshell-infographic to see a valuable tool to help you get started. 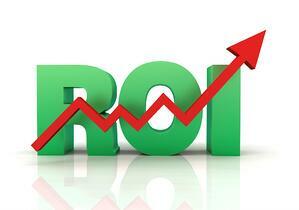 The “why”-question is the golden source for your customer experience management. It shows you why a customer gave their score, and helps you dive into your customer’s head. 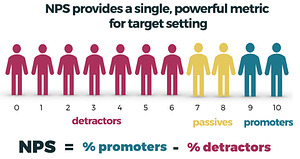 NPS provides both the quantitative metric to set targets and also the feedback for insight. One of the best values of an NPS survey is it’s simple and short enough for consumers to respond regularly. You can also benchmark your business/industry against others. Here's the latest NPS scores from Europe. Read HOW TO IMPROVE NET PROMOTER SCORE®: THE COMPLETE GUIDE to get more insights on when to use NPS. It suggests NPS should be part of your ongoing customer experience management process where you collect feedback, analyze it, act based on it, and finally close the loop with your customers. Starting at the end of your experience initially makes sense. Not using it at other touchpoints in your customer experience limits the value of your qualitative and quantitative data. As this article points out, Listening To The Voice Of The Customer Is No Longer An Option, But A Necessity. The wrong question to ask is, “How can we improve NPS?" A Higher NPS won't bring your business results. You need to understand and act upon your customer feedback. 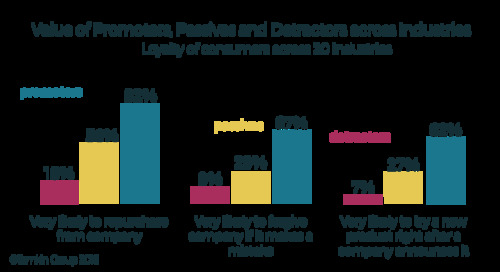 Temkin Group conducted the research "Economics of the Net Promoter Score" in 2016, to analyze the connection between loyalty and the Net Promoter Score. In the article Slack, Mention, and Airbnb utilize NPS to increase positive word of mouth marketing, reduce customer churn. And to predict rebooking’s. 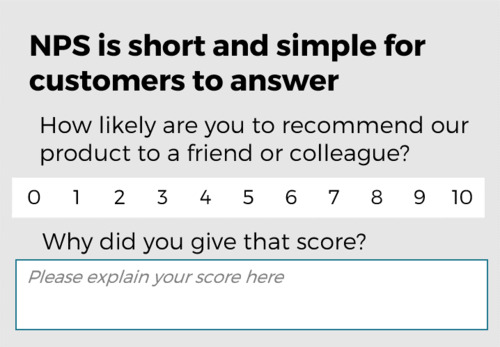 Bill Macaitis, the man behind Slack’s NPS, shares 7 QUESTIONS ABOUT NET PROMOTER SCORE SURVEYS. 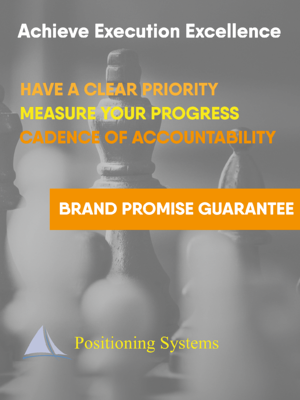 Positioning Systems is obsessively driven to improve your business and your team’s execution. 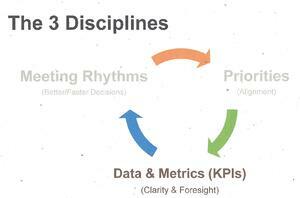 A winning habit starts with 3 Strategic Disciplines: Priority, Metrics and Meeting Rhythms. Your business will dramatically improve forecasting, accountability, individual, and team performance by creating alignment. In weekly meetings Employee and Customer Feedback are an essential step to provide qualitive insights. “You can’t manage what you don’t measure, and what you don’t measure you don’t understand.” This quote from Michael Gerber, The E-Myth Revisited, suggests all things can be measured, and if they’re not you aren’t understanding it. Are soft skills difficult to measure? One argument for not measuring soft skills and how to, next blog.